What did you do on Christmas Day? Although the frequent storms have slowed us down – I think we can all agree that visually we have had the prettiest snowiest holiday season I can remember. 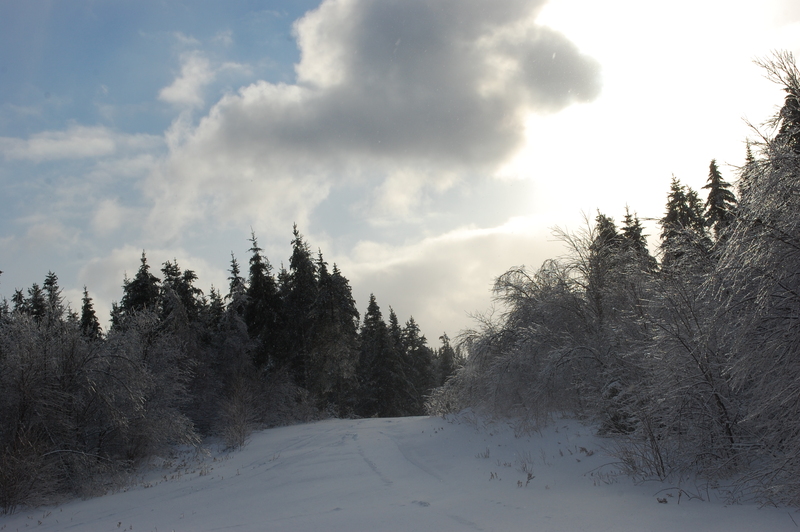 This year my daughter Dana came home to Antigonish and we had the loveliest December 25 outdoors in nature.We made it half way to Taylor Head in the Eastern Shore but succumbed to the slippy road and rerouted our plan. Harry the dog was the centre of our attention as we hiked through snow trails drawn like lemmings to the ocean which we finally reached at Arisaig Park. Here’s a bit of what we did that day. And at the end of that glorious day my dear friend Anne packed up the most delicious gourmet dinner in a corrugate box which we graciously picked up from her home. Dana and I chowed it down in record time after working up our appetites outdoors. What a nice change from our usual tradition. And maybe we even started a new tradition. I’d love to hear about your day – pictures will make it even better. Just send us a reply or email me at tpoder@basatlantic.ca and I’ll add it to our blog. Happy Holidays to our dear readers – as we wind down 2013 and gear up for NEW YEAR’S EVE!!!! Champagne for everyone! I heard about the dinner — what a menu! i’m sure it was out of this world!! After a day outdoors like that you can imagine how hungry we were. And to be feted with such a feast was just too good to be true!